Their success has had us look around at other longtime classic establishments and we also salute Estel’s Dine by the Sea which is owned by Charles and Estella Worthington, Elvi’s Kitchen which is owned by Elvia Staines, Celi’s Deli owned by Celi McCorkle and Blue Water Grill- owned by Kelly and Mukul Kanabar. The San Pedro Sun congratulates all these businesses, and thanks them for playing an integral role in making San Pedro Town the travel destination that it is. Over a hundred island residents were treated to a delicious holiday meal on Christmas Day thanks to Findley Halliday. Halliday decided to give back to the less fortunate during this festive season, and along with the help of Raise Me Up and the business community, organized a Soup Kitchen that served a traditional meal on Christmas Day. A dining hall was setup on Black Coral Street in front of the Raise Me Up headquarters, and a full meal was served. From an an appetizer of cheese dip, to the traditional ham and turkey entree with sides and sweet treats for dessert. The goal was to feed people and families in need of a Christmas lunch that could be proudly presented on any table in the country, and just have a fun celebration for those who would truly enjoy it,” said Halliday. At the end of the dinner, gifts were given to the children in attendance. After the soup kitchen ended, there was even left over toys and goodies and those were delivered to residents in the San Mateo Area. It is hereby notified that the Closing Date for the Submission of Completed Application Forms to the Treasury Department in respect of the GOB December 2014 Residential Mortgage Payment Program has been extended to 31st March 2015. All other terms and conditions of the Program remain unchanged. San Pedro ended 2014 with a bang! As 2014 was a few hours away to culminating, visitors and residents gathered around Central Park to bring in the new year 2015 and watch a spectacular show of fireworks. The San Pedro Town Council held its annual countdown at Central Park. Before the clock hit 12, we saw on stage performances by San Pedro’s very own Rompe Raja Band and the San Pedro Dance Academy. Following their performance was Blackhenoh featuring Dale Wallace and music from Skynet Soundz. Father David Mumba, from the San Pedro R.C. Church offered everyone a blessing for a bright upcoming year. Tonight, San Ignacio Town and Bullett Tree Village are electric with political excitement - because, in case you forgot, there will be a bye election for a new representative in Cayo North on Monday. It's a relatively minor political event, which will change nothing in the balance of power in the House of Representatives - and so the energy and excitement that ahs developed over it are truly out of proportion. That's because these days the political temperature seems to stay at near boiling point - and because for the UDP, it is the start of the drive to a third term in government: the ruling party hopes to dominate this and March's municipal elections, so that they can see their way to a third term. And that's why tonight, a platoon of ministers, contract officers and political operators form the ruling party are in Cayo - and they aren't going home until counting is done on Tuesday. Tonight, Police have 3 men detained in connection with a stabbing which happened on New Year's Eve in Orange Walk. The victim, 51 year-old Miguel Moises Medina, was stabbed over 40 times. It happened at around 6 p.m. on Wednesday, at this house on Fonseca Street in Orange Walk Town. Medina was socializing with a group of men when they got into a fight. He received that large number of stab wounds and died on the spot. Police were called in shortly after and they've been investigating what led Medina's companions to attack him so viciously. Here's what the investigators know so far: ASP Selvin Tillett - Deputy OC, Orange Walk Police "Acting upon information, Orange Walk police visited Fonseca Street at the residence on Juan Rodrigo Ayuso. Inside the house they saw a male Hispanic person lying down motionless. He was covered with a sheet. Upon uncovering him, it was observed that he has several stab wounds to his stomach, left and right side of his chest, left side of his neck, both hands and as well as his back. The body was identified as one Miguel Moises Medina, 51 years old laborer of Guyana Street, Orange Walk Town. CEO Alonzo's Apartment Burnt Down; Was It Arson And A Threat? This Sunday is set for the special General Membership Meeting of the cane farmers association where the 5,000 plus cane farmers will decide whether or not they want to accept the compromise agreement between them and the factory owners for a second time. That's the decision that 18 directors took on New Year's Eve after going to the Bi-laws of the Belize Sugar Cane Farmers Association. If you've been following the news, you'll know about that tricky issue involving the sugar cane production committee. It caused quite a stir among the farmers and their association when it was discovered after the compromise agreement was being proof-read by both sides. BSI has decided to let this issue go, but just last week, they wanted this committee to be replaced by an organization called the Harvest and Delivery Control Unit. A murder at an upscale resort outside Teakettle Village was the first homicide of the new year. 30 year old Swiss and CUBAN national, Yaima Duany was killed right in front of her guests at Dream Valley Resort which is on the Young Gial Road. It's a gorgeous location, and the Lodge was running at full capacity with all 8 cabanas full with 17 guests. Duany had just brought in two more from the Airport when two men of creole descent went up into the bar and ordered a stout. But, they never even waited to be served; in an instant, one of them turned, took out a nine millimeter pistol and shot Duany in the head - right in front of the guests. He released four more shots - and then they drove off - without taking anything. Today Belmopan police say they are aggressively seeking suspects:.. Supt. Howell Gillett - OC, Belmopan Police "She was shot I believe once to the head and another time to the upper body. We believe that 5 rounds were expended during the ordeal of which 2 fatally wounded Ms. Duany. The evidence that we have thus far is showing us that Ms. Duany was the intended target. Two persons arrived and they ask specifically for her and then they executed her, so it seems that she was the target and no one else. During the incident no one else was injured and there were other people including tourists at the time of the incident. We are told and one of the motives lead us to believe that sometime ago she got a verbal threat, but it was never reported to the police. We are so sorry that it wasn't reported because if we had gotten that information prior to this, we would have put security measures in place to ensure that we deal with the threat." In our last segment, we told you about the murder of Miguel Moises Medina which happened on New Years Eve. Well, Orange Walk Police had to remain vigilant for the New Year holiday because there were also other violent incidents. Just after midday yesterday, officers had to respond to reports of a man who shot another in the leg after he assaulted and 3 people in an apparent drunken rage. ASP Selvin Tillett, the Deputy Commander of Orange Walk Police told us more today: ASP Selvin Tillett - Deputy OC, Orange Walk Police "Also we had a shooting incident on Thursday 1st January about 12:45pm on Baker Street in Orange Walk Town, at the property of one Orlando Baiza. Police saw one Jose Luis Sosa, 28 years old maintenance worker of San Lorenzo housing site, suffering of apparent gunshot wound to his left foot. Investigation reveals that Sosa had attacked several persons with a piece of two-by-four lumber. When asked to stop, he picked up a piece of steal, measuring about three feet and attacked Mr. Baiza, who in turn pulled his licensed 16 gauge shotgun and shot Sosa on his left foot. He was transported to the Northern Regional Hospital in a stable condition. I understand he attached Mr. Baiza with a steel and a two-by-four. Prior to being shot he had already beaten about 3 persons." 3 other residents ended up in the hospital after being stabbed by 4 men just a half hour before the holiday ended. Police told us that they were leaving a party, where alcohol was involved, when they were attacked by these men: ASP Selvin Tillett - Deputy OC, Orange Walk Police "There were a lot of stabbing that occurred on Friday at about 12:23am this morning. Upon information police visited the Northern Regional Hospital where 3 male persons were seen suffering from stab wounds; Levy Bennett, 22 years, security of Otro Benque Road had a stab wound to the center of his chest; 2 to the left side of the chest area; Mr. Amin Mendez, 21 years, student of Liberty Avenue had a stab wound to the left side of his abdomen and Shamir Tzul, 23 years, fisherman of Otro Benque Road, cut wound to the right side of his chest and behind his leg. Initial investigation reveals that these people were at a reception on Liberty Avenue when they were attacked by 4 male persons who arrived in a Ford Ranger pickup causing these injuries to the said person. So far police have 3 persons detained pending investigations." 7 pounds, 10 ounces and 21 inches. That's the weight and size of baby Alison Garcia. She is the first baby for 2015 after she was delivered at 3:55 pm yesterday. Today, not even a day old - she gained instant celebrity! She was welcomed with many gifts and a full on media session today at the KHMH. Fresh Pond resident 22 year old Sayra Garoy told us how proud she is to be a first time mom after 12 hours of labor. 7 news was at the KHMH this morning to capture those intimate moments with her daughter. Aisha Trapp-Rudon, Brand Manager, San Cas Ltd. "We are so happy to be a part of this presentation once again. This is our 4th baby we are presenting to and today the mother and baby will receive a package from San Cas. Of course we have Huggies Diapers and Wipes, Ovaltine, that's for mommy and Seven Seas B-Complex. We also have Dutch Lady Milk in there." Belizean Reggae singer Lloyd Mcfarlane better known as "Eljai" is back home after 9 years. But he is not only here to promote his new album, instead, he is here to reconnect with his Belizean people and make himself known to them as a foundational Reggae singer. He began his music career in the US singing and writing R&B music and it was only in 2006 that he decided to venture into the reggae genre. He came to our studios today to discuss the impact he wants his music to have on the world. Eljai will be performing a private show in Belize - and returns at the end of the month for a Bob Marley Tribute in Orange walk. He then plans on releasing a new album in February. He goes on a two week tour in Europe in June. Last week UDP Chairman Alberto August was accused of orchestrating the hasty transferring fo a registering officer from the Cauyo north elections and boundaries office. On our New Year's Eve newscast you heard the chief elections officer Josephine Tamai say she did it for administrative reasons and had no knowledge of any conflict between August and the officer Gerrilyn Bruce. But while she may not have known of it - was there indeed a confrontation? That's what we asked August at his open air office in Santa Elena today:.. Jules Vasquez "Sort of misunderstanding." Alberto August, Chairman - UDP "The first and last contact I had with Ms. Bruce was about 6 months ago when I went to take somebody from the Cayo North East to register in San Ignacio." Will There Be Chaos In the Political Machinery for January 5? 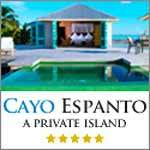 And so tonight, in the the political realm, all eyes are on Cayo north. It's the first true political test for 2015, and while a divisional by election is a relatively minor event, which will change nothing in the balance of power in the House of Representatives. But still scores of political official and operatives form both major mass parties are in cayo this weekend - staying in homes and hotels. For the UDP, it is the start of the drive to a third term in government: the ruling party hopes to dominate this and March's municipal elections, so that they can see their way to a third term. But can all this political concentration on one division cause confusion? That's what we asked chairman August:.. Jules Vasquez "Is there any chance that you may have too many cooks spoil the pot? Every elected official in the UDP have the entourage will be in Cayo North." And while all eyes are on Cayo for Monday - even more attention is reserved for the cane industry in the north. The farmers stand to lose millions of dollars if the crop season doesn't start soon. That's including the hundreds of thousands of dollars that they've already lost due the month long delay. It's the second year in a row that the season is starting late, and today, Ezequiel Cansino, the Chairman of the Committee of Management of the Cane Farmers Association, told us that the 1.475 million tonnes of sugar cane in the fields will definitely not be harvested this season, which means that the farmers will lose money on their investment: Ezequiel Cansino - Chairman, COM of BSCFA "As from the beginning we did the estimation and we need about 208 days to mill all that estimated production and up to now we have lost let's say 30 days. In fact before the start of December, we already knew that production we would not be able to harvest and now with this delay there are much more production that we will not be able to harvest this year." On August 1, 2014, 18 year old Roy Bayliss was shot to death while he ate tacos at the Market Square in Orange Walk Town. The few witnesses who spoke with police explained that a lone gunman approached Bayliss and his companion who were sitting on a picnic table and opened fire at the young man. Five months after, Orange Walk police has made an arrest on Bayliss’ murder. SELVYN TILLETT “One Roy Balis was killed and police have arrested and charged one Raymond Jacobs of Corozal in reference to this murder. The police investigation lead us to this person we might have more arrests later on.” Tillett says they expect other arrests will be made. The Residential Mortgage Payment Program was first heard about in September when the Prime Minister announced that the Government would be paying the interest on mortgage loans for the month of December at the various lending institutions for original mortgage loans. As promised, the program was rolled out in December when the announcement was made that those interested in capitalizing on the program should fill out a 2-page form and have the forms forwarded to the Treasury Department. Today, a notice from the Ministry of Finance announced that the deadline to submit the forms has been extended to March 31, 2015 which marks the closing of the fiscal year 2014/2015. It is uncertain what the reasoning behind this announcement was but it does lead to believe that as with the incentive program with the CXC and CSEC payments, enough residents were not taking advantage of the offer. The forms for the Residential Mortgage Payment Program can be had at and Treasury or sub-treasury office in the districts. Despite the hopes of having a crop season started in late 2014 and a finalized agreement signed onto, the uncertainty has rolled right into the New Year for the sugar cane farmers. Renee Trujillo and Miles Gillett takes a look into the story behind the sugar issues and spoke to the legal mind involved in the discussions, Audrey Matura Shephard. AUDREY MATURA-SHEPHERD “I understand that the company is saying that this request for them to own the product the minute you deliver it, has always been the law and has been in existence for a while; that is a lie and also think about it; if you say there is already an agreement that says you are the owner then why are you making a fuss about an agreement that already says you are the owner? Clearly you are already the owner so why do you need to put it again and if you really believe you are the owner, well then start the season, you are the owner anyway. The answer why they want an agreement is because they have never been the owner and they are asking now that farmers give up their legal right in their own product that they produce and in return BSI is not giving them anything extra. So, why should I give up something that lawfully has a value, ownership has a value, so why should I give you that up and you’re not giving me anything in return? Belmopan Police continue their investigations into the murder of a woman in Teakettle Village, Cayo District which marks the first homicide for 2015. We join correspondent Angelica Cruz for the details. “Belmopan Police are investigating the shooting death of the manager of the Dream Valley Resort on the Young Gyal Road in Teakettle Village. Love News spoke to one of the employees saying that on January one, New Year’s Day, sometime around 3:50 in the afternoon they were working inside Dream Valley Resort Restaurant and Bar situated at about 1 1.5 miles off the George Price highway catering for a group of tourists that the manager brought earlier, that same afternoon from the airport. News of an early morning fire in southern Belize has reached our news centre. With the details, we join Paul Mahung. PAUL MAHUNG “An early morning fire caused major damages to the inner contents of house in Punta Gorda. Officer in charge Punta Gorda Fire Service substation Gladstone Buckner confirmed that information of a fire was received from Punta Gorda Police at 4:59AM. The Punta Gorda Fire Service responded and upon arriving at the scene of the fire observed that a room was engulfed in flames at the southern section of a building which was also full of smoke from the flames that were about to soon engulf the entire three bedroom building located at 109 Front Street in town. Twenty-three year old Lincoln Morales, a security guard a KBH charged with the theft of a white Samsung Galaxy cellular phone which has a value of one thousand eight hundred dollars, plead guilty to the charge when he was arraigned today before Senior Magistrate Sharon Fraser. Morales were fined six hundred and five dollars and he was ordered to pay one thousand eight hundred dollars in compensation to the complainant, Tara Wade. He was given until February 28 to pay the fine. If he defaults on payment he will serve six months. He has agreed to pay fifty dollars every two weeks for the compensation until it is paid. Three newborn babies received baby hampers from San Caz, Brodie’s Supermarket, the Karl Heusner Memorial Hospital and the Belize City Lions Club on Friday, January 2nd. Sayra Garoy, 22, a resident of Fresh Pond Village, Belize District, received gift packages from San Cas and Brodie’s for giving birth to the first baby for 2015. Baby Alison Garcia was born at 3:55 p.m. on January 1st and weighed seven pounds 10 ounces. She is Garoy’s first child. Meanwhile baby Kristen Young also earned her mother, Vanessa Young, 24, a gift package for being the last baby to be born at the hospital in 2014. Young, a Belize City resident, told The Reporter that baby Kristen is also her first child. Fuel prices are expected to dip again after midnight Friday. The prices, which are currently below $10 a gallon, are expected to be in the $7 to $8 range, with diesel prices going so cheap, it is expected that diesel prices will be cheaper than in Mexico. Brazilian President Dilma Rousseff has been sworn in for a second term. In her inaugural address, Ms Rousseff, 67, vowed to extend social welfare programmes that have lifted millions out of poverty. She also promised to investigate a major corruption scandal involving state-run oil company Petrobras. Ms Rousseff, a left-wing economist who was arrested and tortured under military rule, was re-elected by a narrow margin in a run-off vote. Thousands of Ms Rousseff’s supporters turned up for the ceremony in the capital, Brasilia. Many were wearing the red colour of Ms Rousseff’s Workers’ Party (PT), which has been in power since 2003. Happy 2015! Let’s start it with a clean slate and end of this 2014 wrap-up that I’ve been dragging out over the past month? Maybe more? Part One finished at May’s Chocolate Festival in the South of Belize, Part Two from Lobster Mania in June (three Belize lobster festivals) to Cave Tubing in the Maya Mountains… Part Three took me up to the many Halloween parties in San Pedro. Two more months. Easy. Let’s wrap it up. Starting with actual Halloween day. And doing Crossfit in costumes. Eeek. Not something I’d like to repeat. Further extending its innovative business model and serving a rapidly increasing community of visitors and vendors, Best Places in the World to Retire announced that Belize was added today as the third country on its website. “We are very pleased to add Belize, following Panama and Nicaragua,” said Alan Alexander, Chairman of the Best Places Advisor Board. "In only 19 months, we’ve released three countries, and our over 400 contributors have posted over 4,500 answers and 183 Expat Stories. 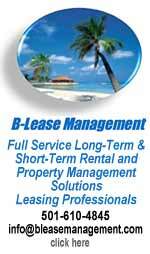 By rapidly leveraging our novel business model, we’re right on target to become the preeminent site in our category." Volunteer in Belize, 3min. Belize is situated on the Caribbean coast between Mexico and Guatemala, a destination with a relaxed lifestyle and amazing marine life. Take some time to explore the heritages sites and immerse yourself in Belizean culture! Volunteer on a marine conservation project and learn how to dive or take part in our beach conservation project and snorkel in pristine ecosystems. The Waterfall Cave Expedition at Ian Anderson's Caves Branch Jungle Lodge, Belize, 3.5min. Watch as these guests tackle our signature tour The Waterfall Cave Expedition at Ian Anderson's Caves Branch Jungle Lodge in Belize! 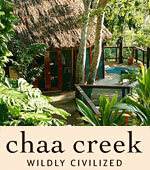 Cave Tubing, Diving, Hiking & more at Ian Anderson's Caves Branch Jungle Lodge, Belize, 11min. Follow our guests as they experience Belizean style adventure at Ian Anderson's Caves Branch Jungle Lodge in Belize! they go hiking through the jungle, dive into cool mountain rivers, explore the ancient caves, rappel waterfalls and relax in the Tree house hot tub! 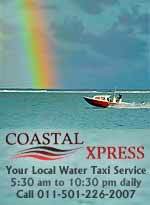 Then visit the Caribbean Sea for snorkeling tours, fishing tours and nurse shark cuddling! AIDAbella Karibik 7 2014 - Part 3 - Belize, 5min. 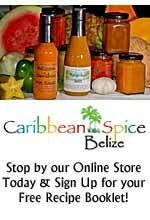 Part three of our Carribean Cruise in February 2014 in Belize. We took a tour to Lamanai via a speedboat ride along the New River. 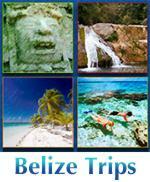 The Hidden Treasures of Belize, Welcome to the Cayo District, 4min. Family Adventure Vacations at Ian Anderson's Caves Branch Jungle Lodge, Belize, 5min. Follow one family on their adventures while staying with us at Ian Anderson's Caves Branch Jungle Lodge in Belize. 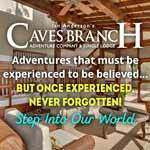 Join them poolside, on a horseback riding tour, cave tubing into the ancient caves, enjoying our unique rain showers in the Tree House accommodations... Hiking in the jungle, diving and enjoying the river next to Lodge. BELIZE - Ambergris Caye - Costa Maya Festival, Juli 21 - 26 1998, 4min. Belize Snorkeling Quick Play, 10min. Family vacation to Royal Palm Caye Island Resort in Belize. Time lapse from the highway into downtown Belize city, 2min. 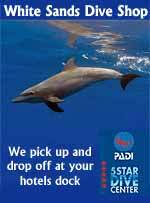 Belize Honeymoon with Dolphins!, 1min. On our final full day in paradise we went fishing out on the reef in the Caribbean Sea and came across this beautiful and friendly pod of dolphins. My wife is freaking out, pretty funny. Snorkeling Belize, 26min. December 2014. Took all the short little vids taken while snorkeling on the Belize Barrier Reef and strung them all together - nearly 30 minutes of snippets! 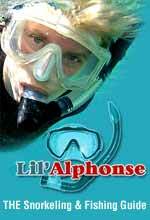 Belizean Bottle-Nose Dolphins, 1min. We were on our honeymoon in Belize at CoCo Plum Caye and when we were out fishing with our guides Crispin and Justin we saw a pod of beautiful dolphins swimming all around our boat and underneath. New Year's Eve party. Fireworks at the split in Caye Caulker, Belize, 6min. BELIZE VACATION MOVIE 2, 19min.